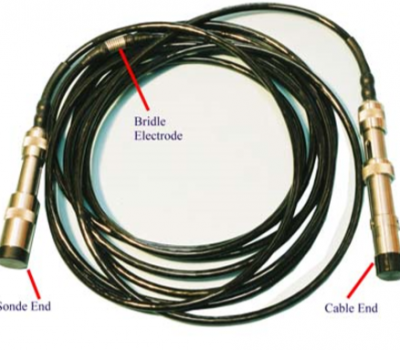 This product is available for existing clients who need to upgrade/replace their existing bridle used with the resistivity tool. 1. Shorter length (5m). This is achieved by covering the first 5m of the logging cable with an insulating heat-shrink sleeve. 2. Armoured core. This is achieved by using a length (5m) of ¼”, 4 conductor logging cable. 3. Standard rope sockets. This is achieved by using standard logging cable as core material. For circumstances that a bridle cannot be used, Geovista provide a bridle substitution sub. Also, we provide parts and materials for bridle maintenance and repair.